Brain injuries occur when a person suffers a sudden physical force or impact to the head. The location and severity of a traumatic brain injury can cause physical, cognitive, and emotional changes in the patient. The injuries are devasting and generally require diagnostic testings, drugs, surgery and rehabilitation for optimal recovery. These treatments are expensive and the Massachusetts brain injuries lawyers are here to help. More than half of all brain injuries are caused by motor vehicle accidents. If you or a loved one has suffered a traumatic brain injury as a result of another’s wrongdoing, our Massachusetts personal injury attorney can help you receive the compensation you deserve. Males between the ages of 15-34 are the largest affected group. Individuals over the age of 75 are also affected. Disabilities in children and young adults are generally due to some type of traumatic brain injury. If you or a loved one show any of the above signs after suffering from a trauma to the head, you should get immediate medical attention. Traumatic brain injury survivors are often left with long-term cognitive, physical, and emotional problems and may experience difficulty concentrating, solving problems, making decisions, processing new information. Through experience and education, the Massachusetts traumatic brain injury attorneys of Gilman Law LLP can evaluate traumatic brain injuries and successfully pursue claims on behalf of the injured. The Massachusetts personal injury lawyers of Gilman Law LLP will investigate the facts and determine whether or not you have a right to compensation. Depending on the extent of your injury, victims may have a right to public or private benefits such as Social Security disability, Medicare, or private disability insurance payments. 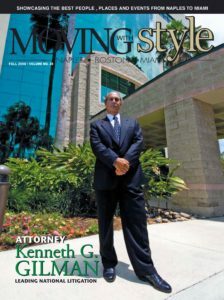 The Massachusetts brain injury attorneys at Gilman Law LLP understand the intricacies of this area of law and have helped people injured in brain injury cases receive compensation to get their lives back in order. Our experienced attorneys are skilled at evaluating the factors of a personal injury and will help to ensure a fair and appropriate compensation for your injuries. If you have suffered a traumatic brain injury, we will work hard to make sure that you receive the compensation you deserve. 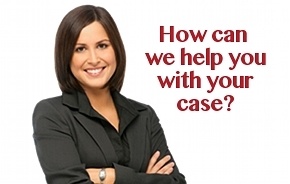 Please complete our free consultation form online or call (888) 252-0048 for a free consultation to discuss your case with an experienced Massachusetts Accident Injury Attorney at our firm.